I've tried to support research in the Neglected Tropical Disease area in several ways, I organised a session at the 19th Cambridge MedChem Meeting in 2017 and arranged for the session to be recorded and is now available online and has been watched nearly 300 times. This is a recording of the Neglected and Tropical Diseases Session at the 19th Cambridge MedChem Meeting, 11-13 September 2017. The speakers are Kelly Chibale (Univ of Capetown), Christoph Boss (Actelion), Rob Young (GlaxoSmithKline), Jonathan Large (LifeArc) and Charles Mowbray (DNDI). So I was delighted to hear that IUPHAR/BPS Guide to pharmacology database have been funded by MMV to add details of antimalarials to their database. This link http://www.guidetopharmacology.org/GRAC/FamilyDisplayForward?familyId=970 gives details of antimalarial targets, including gene name, synonyms and Uniprot ID. This link http://www.guidetopharmacology.org/GRAC/FamilyDisplayForward?familyId=999 gives details of antimalarial ligands, including mode of action and properties. For example artemisinin. I'd urge you have a look and I'm sure they would be happy to hear any suggestions. This looks a very interesting resource described in a recent publication. The ReFRAME library as a comprehensive drug repurposing library and its application to the treatment of cryptosporidiosis DOI. The ReFRAME collection of 12,000 compounds is a best-in-class drug repurposing library containing nearly all small molecules that have reached clinical development or undergone significant preclinical profiling. The purpose of such a screening collection is to enable rapid testing of compounds with demonstrated safety profiles in new indications, such as neglected or rare diseases, where there is less commercial motivation for expensive research and development. To date, 12,000 compounds (80% of compounds identified from data mining) have been purchased or synthesized and subsequently plated for screening. In addition, an open-access data portal (https://reframedb.org) has been developed to share ReFRAME screen hits to encourage additional follow-up and maximize the impact of the ReFRAME screening collection. The website can be searched by structure or text string. For Example searching for Malaria highlights a number of known therapeutic agents. This looks like it will be an invaluable resource. The Nucleic Acid Research Database Issue is now available. Details of over 600 databases described in open access publications. CO-ADD, The Community for Open Antimicrobial Drug Discovery, is a global open-access screening initiative launched in February 2015 to uncover significant and rich chemical diversity held outside of corporate screening collections. CO-ADD provides unencumbered free antimicrobial screening for any interested academic researcher. CO-ADD has been recognised as a novel approach in the fight against superbugs by the Wellcome Trust, who have provided funding through their Strategic Awards initiative. Open Source Malaria (OSM) is aimed at finding new medicines for malaria using open source drug discovery, where all data and ideas are freely shared, there are no barriers to participation, and no restriction by patents. The initial set of deposited data from the CO-ADD project consists of OSM compounds screened in CO-ADD assays (DOI = 10.6019/CHEMBL3832881). Modelled on the Malaria Box, the MMV Pathogen Box contains 400 diverse, drug-like molecules active against neglected diseases of interest and is available free of charge (http://www.pathogenbox.org). The Pathogen Box compounds are supplied in 96-well plates, containing 10 uL of a 10mM dimethyl sulfoxide (DMSO) solution of each compound. Upon request, researchers around the world will receive a Pathogen Box of molecules to help catalyse neglected disease drug discovery. In return, researchers are asked to share any data generated in the public domain within 2 years, creating an open and collaborative forum for neglected diseases drug research. The initial set of assay data provided by MMV has now been included in ChEMBL (DOI = 10.6019/CHEMBL3832761). I've added SkinSensDB to the Drug Discovery Resources page covering Chemistry and Biology Databases. Skin sensitization is an important toxicological endpoint for chemical hazard determination and safety assessment….SkinSensDB has been constructed by curating data from published AOP-related assays. In addition to providing datasets for developing computational models, SkinSensDB is equipped with browsing and search tools which enable the assessment of new compounds for their skin sensitization potentials based on data from structurally similar compounds. SkinSensDB: a curated database for skin sensitization assays DOI. ChEMBL 22 has been released. 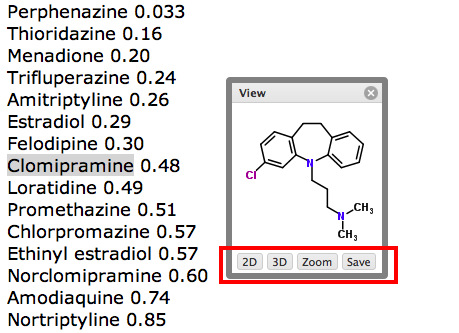 ChEMBL is a database of bioactive drug-like small molecules, it contains 2-D structures, calculated properties (e.g. logP, Molecular Weight, Lipinski Parameters, etc.) and abstracted bioactivities (e.g. binding constants, pharmacology and ADMET data). ChEMBL_18 has just been released. They now include epigenetic targets, and several new web services giving drug approvals and mechanisms. I just saw a note that the ChEMBL group that they are taking over the running of the SureChem system from Digital Science. This means that ChEMBL will be collating the chemical patent literature. The Merck Index, is to join the highly acclaimed publishing portfolio of the Royal Society of Chemistry. The RSC already plans significant development of The Merck Index online, and will continue to develop and update. I wonder if this will be integrated into ChemSpider? When you also consider that the RSC is taking over the Chemical Database Service it is clear that the RSC is moving to increase it’s support of online chemistry. Following a tendering exercise earlier this year the EPSRC will be renewing the Chemical Database Facility, with the Royal Society of Chemistry being the preferred bidder. Contract negotiations are being pursued and should be in place by the end of this year. Details of the renewed service will be made known in due course and the RSC will be working with Daresbury to ensure a seamless transfer to the new system. 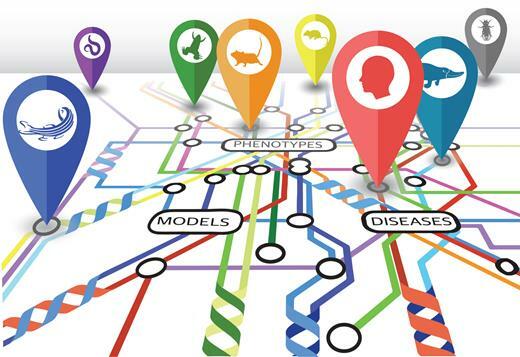 I’ve updated the page of online databases to include databases that contain biological information that might be useful. I’ve also added a link to a series of presentations and posters available from Sirius on the physicochemical properties page. ChEMBL 13 has been released. This release includes updates to the manually extracted Medicinal Chemistry literature, updates to OrangeBook drug approvals and a update from PubChem BioAssay. This release also contains data sets related to screening against human African Trypanosomiasis and Chagas disease. Both data sets have been deposited by the Drugs for Neglected Diseases Initiative (DNDi). The data can be downloaded from the ChEMBL website. Updated the Chemical Databases page, added MMsINCdatabase a free web-oriented database of commercially-available compounds for virtual screening and chemoinformatic applications. 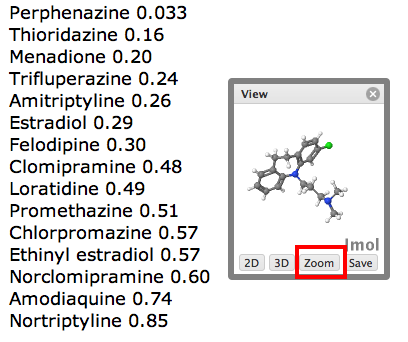 MMsINC contains over 4 million non-redundant chemical compounds in 3D formats. I’ve just updated the online chemical databases page. If like me you regularly come across drugs mentioned on web pages that you are unfamiliar with then this Safari Extension will be of interest. 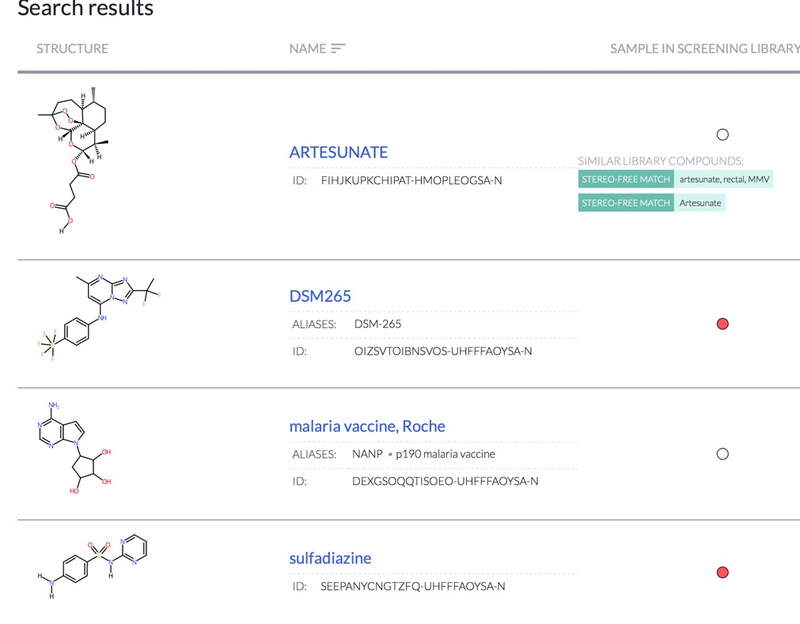 If a page contains a drug name (this page describes AOX1 substrates), select the name and right click (or control click) and an option appears to search for the highlighted drug on ChemSpider. 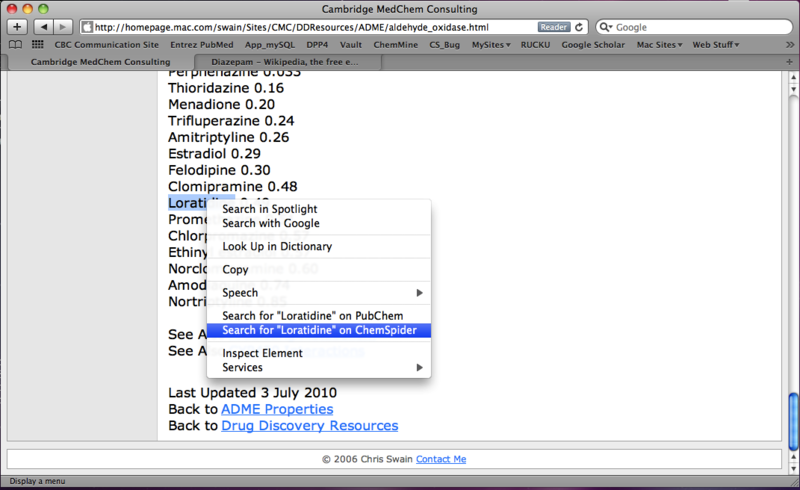 Click on Search for “Loratidine” on ChemSpider option and the structure appears in a small window. The new version of the extension has a few extra options, the small window that pops up containing the structure now has a number of additional options highlighted below, if you click on the “3D” button the display changes to a 3D rendering using the Java applet JMOL. If you now click on the “Zoom” button. 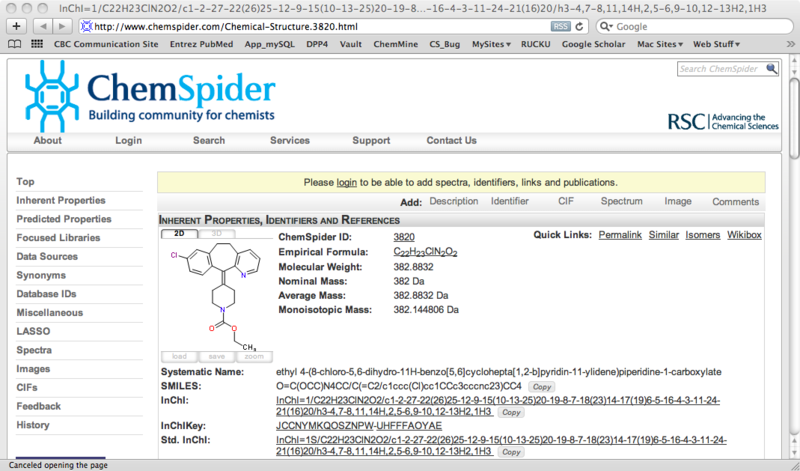 If you then click on the “view” option a new page opens showing the full details in ChemSpider. 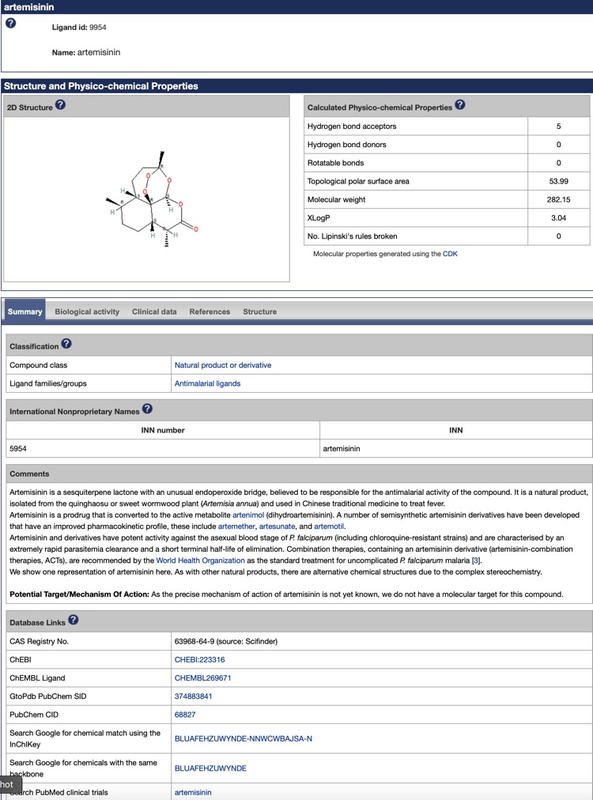 Updated the Chemical Databases and Physicochemical Properties pages of the Drug Discovery Resources.